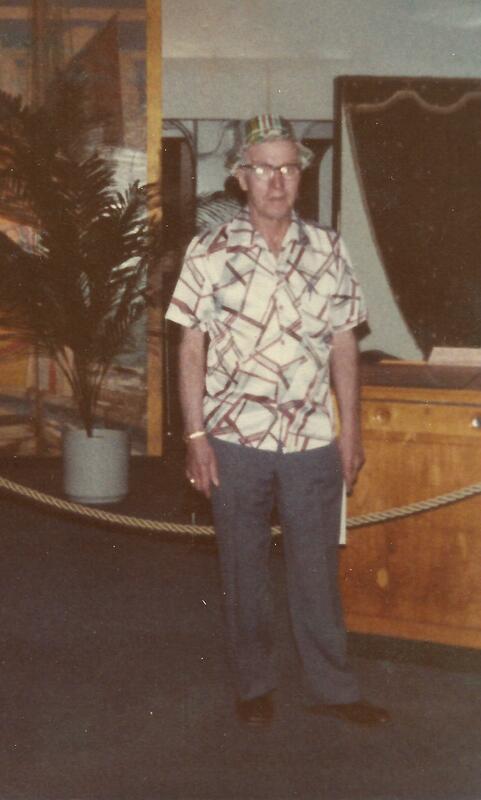 Last week would have been my father’s 99th birthday. Such events often draw our minds vividly to to other places and times. Daddy fell in the bathroom and was in the hospital. It was the phone call that I knew was coming. It was the phone call I was dreading. Now, how could things ever change. The call was from my brother, to let me know, our father’s Parkinson’s disease had progressed. The injuries he sustained were relatively minor. No broken bones, just a knock on the head and a few stitches. But, the doctor now felt that daddy needed 24 hour supervision and could no longer live independently. Ill equipped as we were, my brother and I were “the family” and the ones responsible to make the arrangements. Nothing we learn in school prepares us for the time when the child must become the caretaker of the parent. To say we were not close to my father is an understatement. My father let no one get close to him. He was an alcoholic. He was mean spirited. He was feared by John and me growing up in his house. As a child I learned that to lay low and stay our of Daddy’s way, was to stay out of harm’s way. The lesson was harder for my brother to learn. He had inherited Daddy’s stubborn streak. From the time John was a toddler they butted heads and the conflicts resulted in beating with my father’s belt most of the time. When we were small, he was a frightening monster to be feared. He was an explosion of rage waiting to go off. As we grew, we watched Daddy’s alcoholism grow. By the time we were entering our teen years, Daddy spent most of the time he was at home in a drunken stupor, hardly aware of his surroundings. Although no longer the source of fear of physical punishment. Feared none the less. Riding in the car with him was as frightening as any thrill ride and more life threatening. There was the constant threat that he could so and say things that friends, not living with an alcoholic, would never understand. In AA they refer to alcoholism as the elephant in the room that no one talks about. It seemed my father himself was the elephant in the living room. The we didn’t want our friends to see. The one we didn’t want to talk about. He could still erupt into a fit of rage at the slightest provocation but it had become a little easier to avoid him. As I entered the stage of early adulthood, he was still the larger than life monster to be feared. I left home as soon as I was able after high school. Shortly after I moved out, my parents divorced. Daddy moved to California with his girlfriend, Ethel, who I had never meet. The divorce and his move 2,000 miles away were fine with me. For about ten years I had almost no contact with my father, outside of societal requirements such as Birthday and Christmas cards. I went about my own life, happy to be detached from his. Then with failing health, daddy and Ethel came back to Michigan. To die? Removed from the situation for so long, it was easier to be somewhat objective about my father. Animosity turned to an ambivalent acceptance. Children have a love for their parents no matter what kind of parents they are. This makes it near impossible to completely dismiss your parent from your life. You never completely get over the need to receive your parent’s approval and to have them love you back. Raising my own children, I was always aware of the way I interacted with them. It was impossible to avoid reflection on the contrast of how I was raising my children, how I was raised and how my father was raised. Charles Dickens could not have painted a bleaker childhood than that of my father. His was a young immigrant family. I am sure with all the hopes and dreams any immigrants to America with them. In 1918, with five small sons, the flu epidemic shattered their world forever. His father and youngest brother, just a baby died. His mother alone with five very young children turned to the church for help. The church gave her a job on the condition that she turn over the boys to them. At the age of four my father went to live in the orphanage. I can’t even imagine a child’s life in that place. An enormous five story building housing hundreds of children. The priests were certain that stern discipline and hard labor were the only way to raise responsible children. Children were born of original sin, which had to be beaten out of them. Hard work would make strong men. The tidy profit off the huge farm worked by many tiny hands didn’t hurt the Church either. The orphanage was where my father would spend the next ten years of his life. A brother died there in an accident. It was decided when daddy was in the 6th grade, that he didn’t have the academic ability to continue in school. From then on there was no break in the labor. He worked long days in the fields. When he was fourteen, his mother married. What was left of the family was reunited. His stepfather was a farmer ad a good man. Possibly the only person i the world Daddy ever looked up to. For the fist time in his young life he was happy. His days filled with working the family farm alongside his step-father. The happiness was short lived. after only three years, his step-father died suddenly of a heart attack. Deserted again. Given the time to ponder these things, it was now easy to see he seemed the monster, because he was never socialized into a family. He had no idea what a family was or what his place was in one. This insight weighed heavily on my mind during the hour long drive to the hospital. Entering his hospital room, what I saw stunned me. This was not the father of my youth. This was the father who had tried to do the best he could. The remnants of a broken man, in ill health and faulty mind. I was amazed that his stature seemed so small and frail. It was my job to explain to him that he would not be going home, but to a home, where people could take care of his needs. He admitted that he didn’t completely understand what was going on or where he was going, but as long as I would be the one to drive him there, then he would go. I cried.